"HM Indigo is located far from the traffic and noise of the city-life which is completely peaceful. With Greenary around, every moment you spend here is one of pure bliss. Offering living spaces for tomorrow, it enjoys easy access to some of life's finest luxuries and conveniences like schools, cinemas, malls, multiplexes, banks, colleges and hospitals. 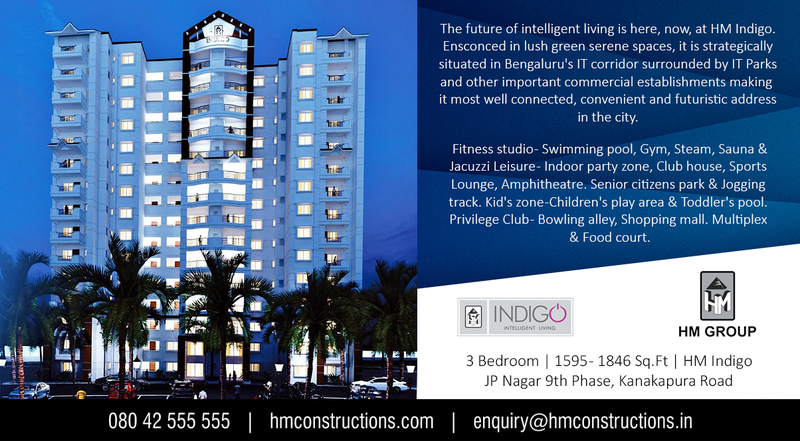 Highlights: Ultra-luxury design specifications, Clubhouse, Pool & Indoor sports lounge, Indoor Party hall, Fitness studio etc"